Ancient writers were not negligent in preserving for us the correct pronunciation of the entire sacred name. Despite Jewish and Roman Church prohibitions against its use, the vocalization of the complete name was revealed and is preserved by some of these writers. The following are various sources which attest to the pronunciation of the tetragrammaton as Yahweh (Yah-oo-ay). Clement of Alexandria (second century C.E. ), for instance, tells his readers that the sacred name was pronounced ’Ιαουέ and ’Ιαουαί,2 both words which approximate the sound Yah-oo-ay. Just who was the person in the New Testament named Paul (Hebrew: Saul)? I mean, wasn’t he the guy who was present at Stephen’s execution and consented to it? There can be no doubt that Paul held to the “ineffable name” doctrine as espoused by the religious leaders of his day. After Stephen’s death, did Paul have a change of heart regarding this “ineffable name” doctrine? There is one way to find out. If you would like to hear more of the details just proceed reading on. In the book of Acts, Stephen was stoned to death for committing a serious breach of Jewish law. Is there any evidence proving that the sacred name Yahweh was somehow involved with this infraction of Jewish law that led to Stephen’s murder? Let us begin our investigation of Scriptures for the facts. Is there any proof in the New Testament that the apostles and early followers of Yahushua taught and spoke in the sacred name Yahweh? Many would say no for a variety of reasons, one of which is that the name Yahweh is not found in any existing Greek manuscripts. Is this really the total truth? How about we find out by proceeding with our investigation. Did John the Baptist adhere to Jewish law by not speaking the sacred name Yahweh? Scriptures seem to indicate that John was rather outspoken at times when going about doing Yahweh’s work. Just how outspoken was John with regard to the sacred name Yahweh, especially while among the religious leaders of Judea? If you have an interest in finding out then it is suggested that you continue reading on. Aren’t we just arguing semantics? I say “Yahweh,” you say “the Lord.” Can’t we all just get along? Well, not so fast. It would seem to be prudent to find out what Yahweh has to say about the matter. I mean, it would be fairly reasonable to assume that Yahweh would want us to know the truth. Right? For those who are interested, let’s begin our investigation for Yahweh’s truth. The importance of using the name Yahweh and avoiding a substitute is enhanced by the willingness of Yahweh’s loyal prophets among the Israelites to die rather than abandon the sacred name. These prophets always prophesied in the name of Yahweh, as every book of the Scriptures reveals. Did Yahushua the messiah in fact commit blasphemy, an alleged scriptural crime whereby he was convicted and sentenced to death by the religious leaders of Judaea? Was there actually any scriptural basis for the extreme hatred of Yahushua by these religious leaders resulting in their wanting Yahushua dead? Are there any facts to indicate that Yahushua did in fact commit the scriptural crime of “blasphemy” thereby justifying his execution? If you’re interesting in finding the answers you might want to continue reading as we proceed with our investigation. Was the motive to murder Yahushua the fact that he claimed to be the messiah? Seems like a reasonable question but is it actually true? Why was there such extraordinary anger and hostility directed toward Yahushua the messiah by the religious leaders? What actually caused this hostility which resulted in the death sentence for the messiah? Could it be that there was something else going on with Yahushua that led to his unlawful murder? Could that “something else” have something to do with Yahushua using the sacred name Yahweh? If you’re interested in finding out the truth of the matter, it is highly suggested that you continue reading on as we begin our investigation of the facts. 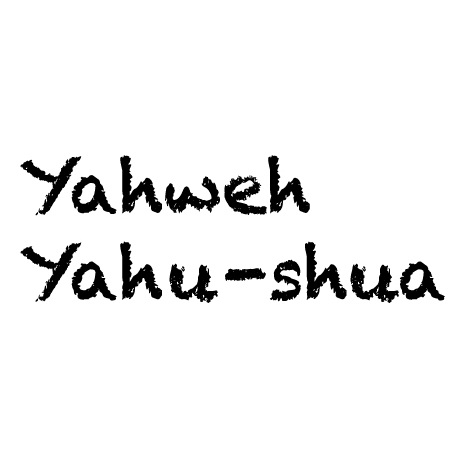 What was the stance of Yahushua the messiah regarding the use of the sacred name Yahweh? We know that during the first century C.E. the people of Judaea and Galilee were strictly prohibited from speaking the name Yahweh by the religious leaders. Was Yahushua in agreement with this prohibition or did he see the situation quite differently? If you’re interested in discovering the truth of the matter then it might be a good idea to continue on with our investigation. Is there any credence to the idea that the sacred name Yahweh should be protected from possible misuse by demanding that it should not be spoken? Some may even cite as proof of this notion the third commandment in Scriptures. On the other hand, there would seem to be contradictions in Scriptures if one were to suppress usage of the sacred name Yahweh. So how and when did the concept of the “Ineffable Name” doctrine come about? If you’re interested in finding out, then you’re invited to explore the details by reading on. Moses Reveals the Name Yahweh? It is clear from the numerous passages in Scriptures that the name Yahweh is an eternal name and that it was known and used since the days of Adam and Eve. It can also be demonstrated beyond any doubt that the sacred name was revealed by Yahweh to the patriarchs Abraham, Isaak, and Jacob and was utilized by their households. How then is it possible that a popular interpretation—which contends that Yahweh never revealed his name to Abraham, Isaak, or Jacob and that it was only first revealed to Moses—can be used to offset the entire book of Genesis and numerous other verses throughout the Scriptures? You are invited to investigate this seeming contradiction in Scriptures by embarking on the trail of truth to discover the facts of the matter. When the argument that the name was only first revealed to Moses is closely examined, we find that the entire case rests with only one passage. This statement, the explanation goes, proves that the sacred name was not revealed to any man, including the patriarchs Abraham, Isaak, and Jacob, until Moses, who lived hundreds of years later. Further, since Moses was sent to the Israelites in Egypt with this name (Exod. 3:13-16), their thought continues, this proves that the name Yahweh was meant only for the Israelites. Christian and Moslem groups hold this basic tenet as the reason why they need not use the sacred name. The Jewish assemblies (who forbid the use of the sacred name by anyone except those they declare pious, and then only on special occasions), meanwhile, judge this passage to prove how extremely sacred the name Yahweh is. For the Jews it justifies their taboo against its use. If one were to apply a cursory investigation, since most people already desire this popular interpretation to be valid, this commonly held understanding of Exodus 6:2-4 would seem plausible. But it is plagued with one immense flaw: if their translation and understanding of this verse is correct then large portions of the Scriptures are blatantly in error. One would be forced to choose between one of two assumed “traditions” of the Scriptures proposed by the priestly school as to when the personal name Yahweh first came into existence. By definition, such a choice would entail a great contradiction between different parts of the Scriptures. Even if one is prone to believe in a totally human origin for the Scriptures, it would be hard to justify why its authors would have allowed such an obvious antithesis between this popular understanding of Exodus 6:2-4 and the rest of the Bible. A close examination of Exodus 6:2-4 in context with the story being told, however, demonstrates that the presently popular interpretation of this passage is in error. Yahweh was not informing Moses that the sacred name was unknown by Abraham, Isaak, and Jacob, but to the contrary, that he had in fact revealed it to them as part of his Covenants of Promise. For this reason Yahweh would bring the Israelites out of Egypt to take possession of the promised land. To prove this understanding, we must first examine the background of the presently popular interpretation of Exodus 6:2-4 and then proceed with a detailed study of the context of the verse. First it should be recognized that in ancient Hebrew there were no vowel marks written beneath the letters, as is customary today, nor were there commas, question marks, periods, quotation marks, or other such punctuation. How a sentence was to be understood and read depended entirely upon its context. The next problem that arose was the lapse of time between when the origi­nal books were composed and understood until the return of the Jewish captivity from Babylonia during the sixth through fifth centuries B.C.E. While in captivity in Babylonia (586-538 B.C.E. ), the Jews had lost the continuity in such knowledge and upon their return to Judaea they had to be retaught (Neh. 8:1-18; Jos., Antiq., 11:5:5). This knowledge was once again suppressed during the forced Hellenization period of Judaea by the Seleucid king Antiochus IV Epiphanes, who died in 163 B.C.E. As the years proceeded these traditions and interpretations came to be finalized in written form and are now known as the Mishnah and the various Talmud and Midrash documents. One of the mistaken interpretations developed by the Jewish religious leaders was the notion that the personal name Yahweh was far too sacred for any common man to utter. Beginning sometime after the mid-second century B.C.E., the high priest, on only special occasions, and a few other chosen (who learned the name in secret), were permitted to express its sound. For all others it was forbidden by Jewish law. When the Jewish religious leaders came to the verse in Exodus 6:2-4, they chose to understand it as further evidence of their new and radical interpretation about the sacrosanctity of the name Yahweh. The belief that Moses was the first man to hear the personal name Yahweh is clearly disproved by numerous quotes from Genesis. Nevertheless, this inventive interpretation was needed in order for the Jewish religious leaders to justify their stand on not using the sacred name. The debate over whether or not an average man should speak the personal name of the almighty also became the chief bone of contention between the messiah and the Jewish leaders. The early assemblies following the messiah believed in speaking the sacred name. But during that period the Pharisaic elements which had joined these assemblies spread their own interpretation about. By the second century C.E. many of those calling themselves Christians had become adherents to the “ineffable name” doctrine of their Jewish brothers. It became official Christian dogma at the beginning of the fourth century when the Roman Church was founded under Constantine. From this point on it was considered “Jewish” to use the sacred name (despite the fact that the Jews forbade its use). To justify the apparent contradiction between the popular understanding of Exodus 6:2­-4, and the evidence produced by the book of Genesis that the name Yahweh was previously known, biblical scholars developed the “two traditions” theory. This theory opened the door for some critics to argue that such books as Genesis and Exodus were not really composed until sometime in or after the days of kings David and Solomon (tenth century B.C.E.). If we accept this view then there exist grounds for the belief that the Jews invented the sacred name. To do so also entails an acceptance of a contradiction in the Scriptures of major proportions, a belief that Moses did not write Genesis or Exodus. More to the point, it allows for the supposition that the Scriptures are a lie—all which are unwarranted when set against the evidence. The problem with the so-called contradiction between the popular interpreta­tion of Exodus 6:2-4, and the prior revelation and use of the sacred name reported in the book of Genesis is solved once we take a much closer look at the context in which the statement at question takes place. The comments given in Exodus 6:2-4 came as the result of events which had just recently transpired. We begin by observing that after the Exodus the Israelites sent a letter to the king of Edom recalling that before they came out of Egypt “we cried to Yahweh, and he heard our voice, and sent a messenger (i.e. Moses), and has brought us out of Egypt; and behold, we are in Kadesh, a city at the edge of your border” (Num. 20:14-16). This passage, written by Moses, reveals that prior to his calling the Israelites had pleaded to Yahweh to save them. Next, in the first part of Exodus we are informed of how Yahweh appeared to Moses at the top of Mount Sinai (Horeb) and revealed that he was “the eloahi of his fathers, the eloahi of Abraham, the eloahi of Isaak, and the eloahi of Jacob” (Exod. 3:6). Yahweh enlightened Moses to the fact that he had now come to bring his people, the Israelites, out of Egypt and take them into the land of Kanaan as he had promised their forefathers (Exod. 3:1-10; see Gen. 15:12-14). As part of this task Yahweh was sending Moses both to Pharaoh and the Israelites in Egypt advising them of this message. One might think that Moses would have met this invitation with great joy and enthusiasm. To the contrary, Moses had a great incentive to stay out of Egypt. Earlier in his life he had killed an Egyptian whom he had found beating on a fellow Israelite. This act caused Moses to be placed under a sentence of death by Pharaoh. To save his life he fled to the land of Midian along the Gulf of Aqaba. There he found safety in the house of the priest-king named Jethro, whose daughter he married (Exod. 2:1-22). Moses knew that as long as Pharaoh still lived he was under a death sentence in Egypt; Moses had not yet learned of the recent death of Pharaoh nor did he know that all the men who were seeking his life were now dead (Exod. 4:18-19). We should immediately take note of the fact that Moses did not test out the identity of his divine visitor. He did not ask, for example, “Who are you,” but rather “Who am I.” This detail is our first indication that Moses already knew that the “eloahi” of his fathers was Yahweh. The first point to be cognizant of is that if the almighty’s name was “eloahi” there would have been no purpose for Moses to ask this question. Here is one more proof that eloahi is not a personal name. Second, the above question was not asked by someone who was anxiously trying to follow the words of Yahweh, but rather, the words of someone trying to be relieved from going! If Moses knew who his ancestors were, then he would certainly have known the name of their eloahi. The entire discussion is set with the backdrop that both the Israelites in Egypt and Moses already knew the name of the eloahi of their fathers. What Moses was, instead, trying to do was find just cause not to go to the Israelites living in Egypt. Moses was attempting to excuse himself on the grounds that the Israelites in Egypt knew the name of their eloahi and would test him on that issue. The eloahi who was now speaking to him, nevertheless, had not admitted to his name. How then could he go to them without this information? Yahweh’s initial reply, “I am who I am,” was not simply a casual remark made to a man asking him a plausible question. It was spoken out of anger and displeasure because Moses had asked such a foolish question in an obvious attempt to keep from traveling to Egypt. This passage is extremely important for understanding the context of all that was taking place. First, it shows that Moses was continuing to seek reasons why he should not go. Second, Moses does not say that he would be rejected because the Israelites did not know who Yahweh was. Instead, Moses states that the Israelites would ridicule him with disbelief that Yahweh had appeared to him. If they had not known of Yahweh they would have said, “Who is Yahweh?,” as Pharaoh did (Exod. 5:2). The fact that Moses expected them only to deny Yahweh’s appearance proves that the Israelites already knew Yahweh but they would doubt that he had sent Moses as a prophet. Indeed, the very notion that the eloahi of Abraham, Isaak, and Jacob would have revealed himself to Moses by a different name is absurd. As A. B. Davidson observed, the name Yahweh “can hardly have been altogether new to Israel before their deliverance. A new name would have been in those days a new god” (Dict. of the Bible, 2, pp. 199-200)! Clearly Yahweh had revealed himself to Moses as being the same eloahi that Abraham, Isaak, and Jacob had served. He was the eloahi of the ancestors of the Israelites, not someone new. This reply exceeded Yahweh’s patience, for as part of Yahweh’s response we are told, “And the anger of Yahweh glowed against Moses (Exod. 4:14).” Yahweh now gave Moses his brother Aaron to act as a spokesman. Moses, with all options exhausted, made preparations to return to his home in Midian and then to go to Egypt (Exod. 4:14-20). Yahweh, meanwhile, sent Aaron, the brother of Moses, to meet Moses at Mount Sinai while Moses was returning from Midian to go to Egypt (Exod. 4:18-5:1). All of these statements reveal that Moses and the Israelites were already fully aware of who Yahweh was. More importantly, they also show the attitude of Moses and Yahweh’s anger toward it. This anger was further accentuated after Moses spoke to Pharaoh. Instead of listening to Yahweh’s command, Pharaoh placed the Israelites under an even heavier state of servitude than had previously existed. It was to this complaint and lack of trust, following Yahweh’s anger at Moses for trying to contrive a way out of going to Egypt, that Yahweh made his important response in Exodus 6:2-4. Yahweh’s reply must be gauged against the history of his anger and the impertinent comments just made by Moses. Yahweh’s response, as a result, was one of chastisement as he informs Moses that Moses was way out of line, for Yahweh would indeed bring his people out of Egypt! Yahweh then adds that he had established his covenant with these men to give them the land of Kanaan. He emphasized his name because it was by his name that he swore to fulfill his oath and keep his word. How then could Moses doubt that Yahweh would bring the Israelites out of Egypt? Was not the honor of his sacred name, which he had revealed to Abraham, Isaak, and Jacob, attached to the Covenants of Promise? Once we understand that Yahweh was chastising Moses utilizing a rhetorical question, all of the facts fit perfectly together. Exodus 6:2-4, rather than defeating, actually confirms Genesis and the other books of the Scriptures. If we trust that the Scriptures do not contradict themselves, or even if one simply acknowledges that the original author of Exodus would not have been so ignorant as to have allowed for such a contradictory statement as the popular interpretation of Exodus 6:2-4 would contend, we are compelled to the conclusion that this verse must be understood as a rhetorical question. Once arriving at this judgment, we find that there is absolutely no basis for the belief that the name Yahweh was only first revealed in the days of Moses or that it was meant only for the Israelites or Jews. 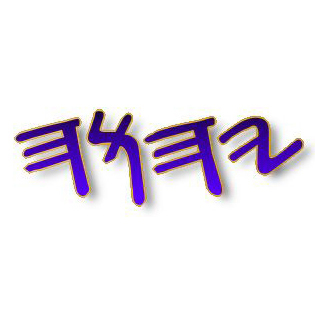 For more information regarding the name Yahweh check out the publication by Qadesh La Yahweh Press titled The Sacred Name Yahweh. Did Yahushua the Messiah Preexist? Could it be true that Yahushua the messiah preexisted prior to his becoming a fleshly man living on the earth? In Exod. 3:7 this eloahi is identified as Yahweh. At the same time, this very eloahi is identified as an angel in Exod. 3:2! It even gets more interesting when you consult Acts 7:30-35. What’s going on here? Are we to ignore these seeming anomalies or is there a grievous mistranslation taking place? If you are willing to investigate further then it is highly suggested that you continue to read on as we delve into Scripures to uncover the truth of the matter. There are at least 8 proofs contained in Scriptures that demonstrate that Yahushua preexisted as a ruach being or angel. The names Yahweh and Yahushua (variant: Yahshua) seem to be the popular nominees. The general consensus among many individuals is that both names are really one and the same so the utilization of either would have the same effect concerning one’s salvation. Their reasoning stems from the assertion that the first part of the messiah’s name, Yah, contains the contracted form of the father’s name Yahweh therefore Yah = Yahweh. So for salvation purposes Yahushua = Yahweh. For many, this reasoning would seem to be compatible with scriptural doctrine. On the other hand, when one examines this matter more thoroughly, Scriptures reveal quite another conclusion. The purpose of this study is to investigate what Scriptures truly have to say about the matter. The verse from Acts seems extremely familiar and any confusion can be eliminated once it is realized that Keph (Peter) was directly quoting from the book of Joel as demonstrated. So far, Scriptures has shown us that there is one name, not names, to be called upon! It is generally recognized that the above quote from Philippians is a paraphrase from Isaiah. Also, in reference to the citation from Philippians regarding “A NAME WHICH IS ABOVE EVERY NAME” it should be noted that it is stated in Psalms what that particular name is. This now prompts the question, “What name is above every name, Yahweh or Yahushua (Yahshua)?” Obviously, the evidence does not support the idea that “Yah” is but a contracted or shortened form of the name Yahweh. Therefore the name Yahushua (Yahshua) cannot fulfill the explicit message of Scriptures! 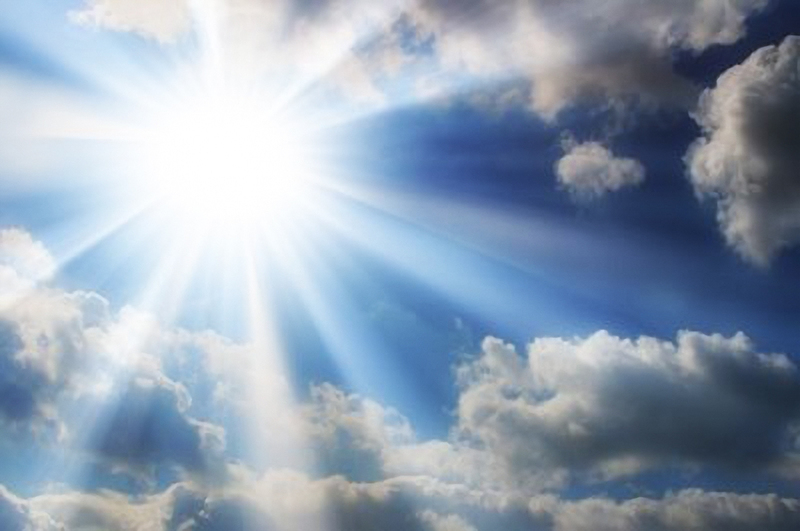 What the evidence reveals is the fact that Yahushua’s heavenly name was Yahweh all along. Of course his earthly name was Yahushua (Matthew 1:21) in addition to the earthly name Immanuel (Isaiah 7:14, Matthew 1:23). Next, Yahu-shua (Yah-shua) does not mean “Yahweh saves” as is popularly taught and accepted. When we let Scriptures define itself without human intervention the translation of the messiah’s earthly name reveals it to be “Yahu saves”! To demonstrate this fact more discussion is in order so let’s continue onward with our investigation of Yahweh’s truth. You might be thinking, Who is this Yahu person and where is he in Scriptures and is Yahu one of the saving names? To alleviate any apprehensions, one can be assured that Scriptures emphatically state that there is only one saving name and it is not Yahu, Yah, Yahshua, or Yahushua. According to Scriptures, father Yahweh created all things by means of Yahushua the messiah. Therefore it was the logos who is identified as Yahweh eloahim who created Adam. It was the preexistent Yahushua, who was the ruach being or angel named Yahweh, who appeared to Moses in the burning bush and spoke to him. As any teacher of Yahweh’s truth is aware, due to the ineffable name doctrine pervasive among the early Jewish religious factions, the sacred name Yahweh has been tampered with in Scriptures. Just the fact that the name Yahweh has been vowel pointed numerous times in Scriptures by the Jewish scribes for the purpose of guiding the reader to read adonai or eloahim instead is a simple demonstration of this fact. Another demonstration of the tampering of Scriptures by Jewish scribes is the stripping out of the Hebrew letter ו (waw) from various names within the same document. For example, in 2 Kings 15:8, a person is named Zakar-Yahu (Remembered of Yahu), while in 2 Kings 15:11, the same person is called Zakar-Yah. There are numerous examples of this type of alteration within Scriptures. Now enters scriptural logic. According to Scriptures the angel identified as Yahu Yahweh became the man Yahushua the messiah and did not die in the transformation process. It would then follow that Yahushua, after becoming a man, would have retained the name Yahweh as the surname given to him by father Yahweh. The only time that Yahu Yahweh is recorded in Scriptures to have died is when he was put to death as a man on the torture-stake. By trying to make the name Yahushua equal to the sacred name Yahweh, many people have been trying to force a square peg into a round hole, so to speak. No one attains salvation by the names Yah, Yahu, Yahshua, or Yahushua. There is only one name of salvation given in Scriptures as given in Joel 2:32! The New Testament gives the exact same message with Acts 2:21. The message from Scriptures is quite clear and explicit. Yahweh is the only name of salvation that is proclaimed throughout all of Scriptures! It is the person Yahu Yahweh, who was also given the earthly name Yahu-shua (Yahu saves), who gives salvation by the same name given to him and shared by father Yahweh, the one and only sacred name Yahweh. For additional reading material you might want to peruse the publications, “The Sacred Name Yahweh” and “The Preexistence of the Messiah” by Qadesh La Yahweh Press. Some people are are not sure about the issue of whether the name of the creator can be known. There are those who teach that it is impossible to attain this information. Some say the evidence reveals his name to be Yahweh but the pronunciation cannot be known with certainty. There are those who go so far as to say we shouldn’t even attempt to use the name Yahweh nor try to pronounce it, as it would disparage the creator. The logic would be that we are just too ignorant and should not use guesswork when trying to communicate with our creator. Besides the creator recognizes our handicap and hopeless situation whereby he issues us forgiveness for not obeying his instruction to know and proclaim his name. The following is just one scriptural verse of many that seem to contradict such logic. You are currently browsing the archives for the Sacred Name category.